The Simmons family is at it again... they're taking their Airstream camper, hooking it up to their SUV and going on a cross-country camping adventure! Free Game features: Over 60 hidden object locations; Over 25 themed mini-games and puzzles; Beautiful art and design for all locations; Life-like animations and realistic sound effects. 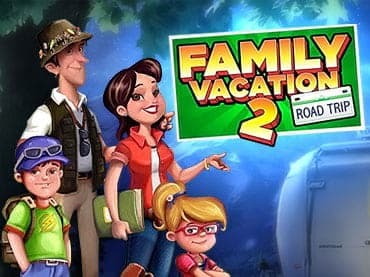 If you have questions about Family Vacation 2: Road Trip game, please contact us using this form.